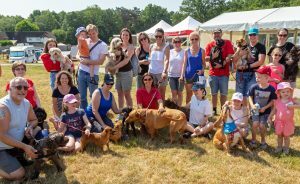 CANINES on the Common in Horsell raised about £1,000 for the Woking & Sam Beare Hospices. The two-day event last weekend included a treasure trail and stalls with goodies for sale. More money is expected to be raised from sponsorship of the dog walkers.